What is the Calypso system? The Varian Calypso® system for prostate, also known as GPS for the Body®, is a technology that enhances tumor targeting during prostate cancer radiation therapy treatments. 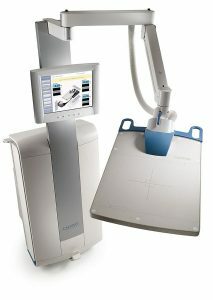 The Calypso system enables clinicians to track tumors objectively, accurately, precisely and in real-time. Monitoring movement of the prostate is particularly important as the prostate organ often moves variably and unpredictably during treatment due to normal bodily functions such as breathing, coughing or digestion. In fact, studies have shown that the prostate can move up to 12mm in as little as eight minutes. When this happens, the tissue targeted for radiation may move in and out of the path of the radiation beam. As the target moves out of the path, healthy tissue receives the intended radiation, which may lead to increased side effects such as incontinence, rectal bleeding and sexual dysfunction. The key strategy, therefore, is to keep the radiation beam focused accurately and precisely on the prostate while avoiding healthy surrounding tissue. Similar to how a GPS tracking system in a car locates where the car is at all times in relation to its destination, Calypso provides continuous, real-time information as to the precise location of the prostate tumor during treatment. Three tiny transponders, about the size of a grain of rice, are permanently implanted into the prostate during a minimally invasive, outpatient procedure, similar to a biopsy. When activated, these transponders emit a harmless radio signal that communicates with a special electromagnetic sensor, which is positioned over the patient during treatment. 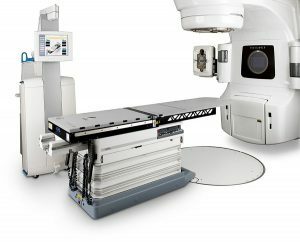 During treatment, if the tumor moves outside of the radiation beam, the clinician is immediately alerted and can stop the beam to adjust to the tumor position, so that radiation delivery is once again focused on the tumor.